Essex County Council's consultation on its proposed strategy for library services over the next five years will continue until 20 February. Thank you for all your responses so far. The strategy sets out the priorities for library services, to shape a service that’s modern, focused and fit for the way we live now and in the future. Information drop-ins at local libraries give you the opportunity to find out more about the proposals, ask questions and get help to complete the survey. If you represent an organisation that may be interested in the delivery of a community managed library, this short film about Ramsey Community Library will give you an idea of how a community library might look. When Fi Lawson arrives home to find strangers moving into her house, she is plunged into terror and confusion. She and her husband Bram have owned their home on Trinity Avenue for years and have no intention of selling. As the nightmare takes grip, they try to make sense of the events that led to a devastating crime. A diary is a such a direct and intimate insight into somebody’s inner life that it’s no surprise that this format provides such a good vehicle for fiction. We have compiled a list of some of the best diary fiction, including titles where a diary is a key plot element, and added some real-life stories to the mix for good measure. January is a great month to learn something new. While the days are short, and there’s less going on, explore the excellent online learning tool Universal Class. Browse hundreds of topics then sign up for a free course. Will you choose event management or digital photography, face painting or interior design? 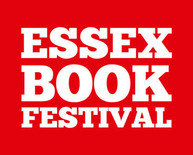 Pick up your Essex Book Festival brochure which will be available in your local library from mid-January. Don’t miss out as the box office opens on 14 January! As this is the twentieth anniversary of the first Festival, which was organised by Essex Libraries, there are events in 20 libraries. Highlights include Sophie Hannah at Maldon, Bridget Collins at Colchester, and Essex Authors and You at Chelmsford with over 50 different authors to meet and 12 seminars for aspiring writers to choose from. Here’s a list of book suggestions for any young child who loves things with wheels. From cars, to tractors, buses and diggers, there’s a whole host of vehicles on offer, so buckle up and come along for the ride. Do you love flicking through a magazine? Did you know you can save money by reading them online, free with your library card? There's a wide range of titles, including Amateur Gardening, Top Gear and OK, using RBdigital, while PressReader covers everything from homes and gardens to sports and entertainment. Visit our e-magazines page and start saving now!